FEBRUARY 8--As prosecutors today announced manslaughter charges against Michael Jackson's former doctor, the Los Angeles medical examiner simultaneously released its final report on the singer's June 2009 death. The 51-page coroner's report, key excerpts of which you'll find here, concluded that the powerful anesthetic propofol caused the 50-year-old Jackson's demise. The L.A. District Attorney's Office charged today that Dr. Conrad Murray "did unlawfully, and without malice, kill Michael Joseph Jackson," to whom Murray, 56, allegedly improperly administered propofol. The coroner's report reflects the thorough nature of the medical examiner's months-long probe. Along with describing the scene at the Holmby Hills mansion where Jackson was stricken, the document lists prescription drugs found in the home (some were prescribed in Jackson's name as well as an alias used by the singer) and includes separate radiology, dental, neuropathology, and anesthesiology consultations. According to a review by Dr. Selma Calmes, the level of propofol detected in a toxicology screen was "similar to those found during general anesthesia for major surgery." Jackson was reportedly using the drug to help him sleep. The document also provides the detailed results of the performer's autopsy--which included analysis of Jackson's corpse and his various organs--from the size of his liver to the "unremarkable" nature of his testes and scrotum. The "immediate cause" of Jackson's death was listed by the medical examiner as "Acute propofol intoxication." 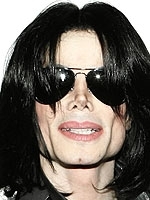 Submitted by ultrahumanite on Mon, 2011-06-06 18:10.
did he or did he not have a nose when he died?? ?